Rarely available in prime N BBY location. Bright & spacious 3 level townhome. Newly renovated kitchen & baths. Main floor boasts real beech hardwood floors & a custom beechwood mantle surrounds the gas fireplace. Extras: Two piece powder room on main floor, large, bright recroom with big window & sliding doors off to private fenced yard, backyard has exposed aggregate patio & grass area, large attic storage, personal carport & much more. Only 10 units like this in complex. Complex has wonderful outdoor pool & clubhouse just a minute away from unit. 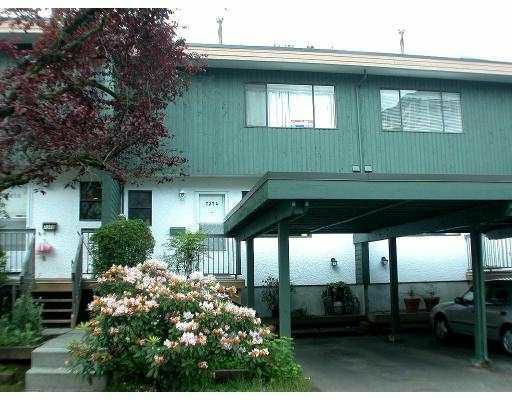 Short walk to Mall, BBY Mountain Golf Course, trails, school and transportation. A super alternative to a single family home. Very nice home, compare! !